Ever since the Titanic tragedy, many forms of art have spoke of the Titanic disaster commemorating the majesty of the vessel and remembering those lost on the night of April 14, 1912. Capturing the emotion of the event and illustrating the somber nature of the topic, Titanic songs and poems reflect the accomplishment of the engineering beauty of the ship as well as sadness associated with the disaster. Here are some of the most well known Titanic poems and songs and the message that they are attempting to convey. When brave Captain Smith cried, “Every man for himself”! Illustrating both triumph and tragedy associated with the Titanic, the poet illustrates the entire journey of the vessel and mentions some of the famous individuals aboard the ship when it sank including the most famous John Jacob Astor. McGongall even write about the construction of the ship. A comprehensive view of the Titanic and it’s legacy, the poem in full can be found here: The Lamentable Titanic Disaster. What was seen as an initially feeble attempt at capturing the true beauty of the Titanic and properly illustrating its tragedy, the Passing of the Titanic was written sometime in 1912 soon after the event. Showing a very extended vocabulary and perfect rhyme scheme, the poem has every element of a piece of fine literature, but lacks a bit in the content. Here are some of the verses from the Passing of the Titanic. Since Noah’s trade in Shinar’s land began. 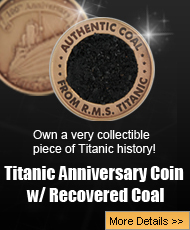 The poem then goes on to illustrate the Titanic tragedy as well as the aftermath, but many individuals who have this poem posted only offer the first few verses. 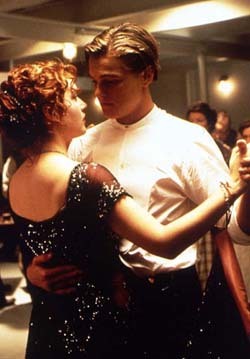 Embodying the essence of love and loss, “My Heart Will go On” was the song associated with the 1994 James Cameron blockbuster Titanic. Found on virtually every music collection of the time, the song was created to be the perfect piece of art associated with the love and loss of the actors in the story. Still considered to this very day as the “Titanic song” my heart will go on is part of the soundtrack to the Titanic film. These are quite possibly the most popular Titanic poems and songs are generally viewed as a parody within the world of the Titanic. Some songs have been written to commemorate the event, but many were not recorded and have been lost over time. When it comes to Titanic poems and songs, there is simply not a whole lot of material that has been published, and some of the items that have are regarded as foolish attempts at art.